Many parents would be correct in assuming that carpooling comes with a myriad benefits for themselves, although the main draw, of course, is that the duties for dropping off and picking up kids at school are spread out amongst several adults, so that each family is relieved of the onus to make daily trips. However, carpooling may also benefit children in a number of ways.It’s easy to assume that they would be better off in a situation where they didn’t have to cram in with half a dozen other kids, but this simply isn’t the case. So if you’re thinking of pulling your kids out of carpool in order to give them a break, here are just a few reasons why you might want to rethink your position. 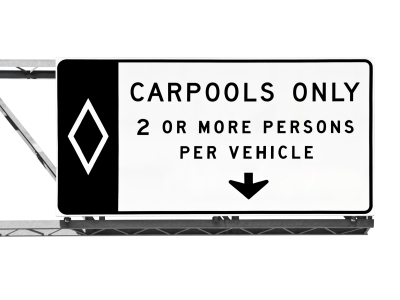 For the most part, the benefits inherent in carpooling situations are social. Your kids may not end up being great friends with all the other children in their carpool, but they’ll at least have a built-in social network of other students at their school that they know. Carpooling can help even shy kids to become more comfortable around their classmates, forcing them to interact to at least a small degree. And in a best-case scenario, this forced proximity will help them to develop friendships. Of course, you might also notice that the kids in your carpool seem to fight all the time. This, too, can offer your children a valuable opportunity to learn and grow. While you certainly don’t want to let the situation get out of hand or devolve into hitting or tears, the truth is that disagreements are a natural part of childhood. They allow kids to explore and solidify their personality and their own particular values. In addition, kids that argue with their peer group in a controlled setting (i.e. with a parent on hand to stop things from going haywire) may become more self-confident in their thoughts and moral positions. Wouldn’t you rather have your children hash out their differences in the presence of a responsible adult than on the playground? This not only gives you valuable insight into the behaviors, strengths, and issues your child harbors, but it also lets kids go through the natural growing pains that come with interacting in social situations. There are other benefits to carpooling, as well. Kids will not only be forced to interact with other kids, but also with other parents. The result may be that they find your parenting style to be preferable to the practice of others. They’ll also learn to behave appropriately around authority figures that aren’t you or your spouse, which is an important lesson to learn early on. And, you can use this experience as an opportunity to teach your kids the value of environmental efforts. When parents opt to carpool, they will not only save time on driving their own kids to and from school each day, but they’ll also cut back on the carbon emissions that these individual trips entail. It might not be enough to lower your mileage so that you can save some money on gas or car insurance via quotes on Kanetix, but it’s certainly a good way to lead by example when it comes to environmental issues. So, do you carpool your kids? I carpooled quite a bit when I as growing up. I always loved it because it was a great time to socialize with other friends and I know it made it easier on m parents, and on others as well. We definitely plan on doing it when the time comes for ours. That is great. We did a bit when we were really little but once we moved we didn’t carpool. I would like to do it with our kids down the road if there is the opportunity. Since kids don’t really play outside with their neighbors anymore (or at least not where I live), I think carpooling is a great idea. It allows both kids and parents to make and maintain friendships. I agree. I think it is so sad how independantly people live now. There is no connection to neighbours or those around you. We live 2 minutes from the school, and we don’t carpool, but I agree it can be a very good thing! In the case that you are so close you could do walkpools. This would still allow for the same benefits. My wife does a carpool with our kids and two other kids for preschool and it works great. That is great to hear. I bet your kids like it too. lol. It is true. It does depend on your personal work schedule what will work for your kid. We don’t have a super long commute either which is nice but do we have some early days. If when we have kids we can’t carpool I definitely want to look into bussing for them. They will get most of the same benefits. Lol. Karma is funny isn’t it. I am sure your kids aren’t that bad.